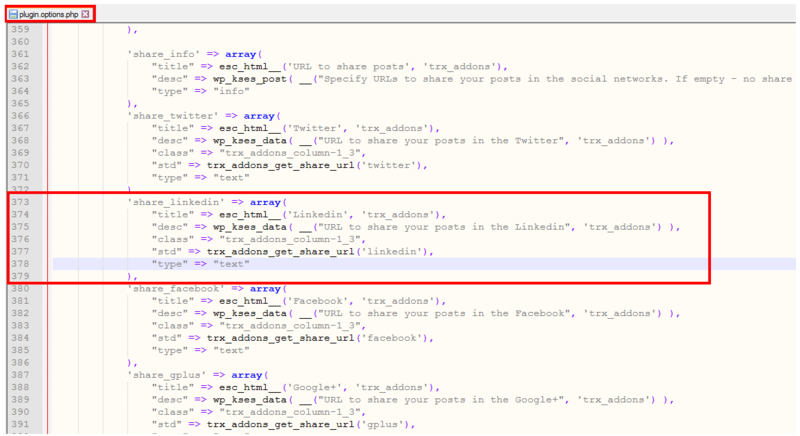 Open \wp-content\plugins\trx_addons\includes\ plugin.options.php in any text editor. You may see the full list of the default icons in /wp-content/plugins/trx_addons/css/font-icons/demo.html file on your server. 4. Save the changes and open your WordPress admin panel, Appearance>ThemeRex Addons >Socials section. 5. Copy and paste the link to your Linkedin profile and click on Save Options button. Done! 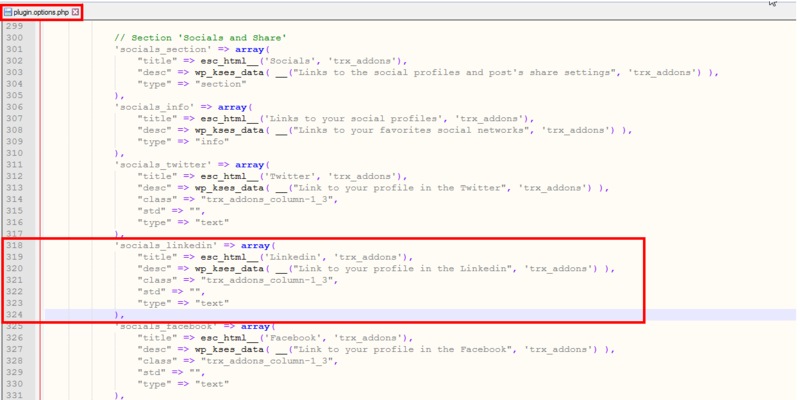 You have added an extra social source to your website which will be available on the top panel and footer. Be free to make the same edits to use some other social networks on your website.